Gutters and downspouts from 31-W Insulation can add both function and style to your Dayton, Ohio, home. That’s because our gutter systems are some of finest on the market today. Built by respected manufacturer Spectra Metal, our gutters lack the seams that conventional systems have. This seamless feature helps to reduce the risk of debris buildup because seams often trap debris, which then leads to clogging. 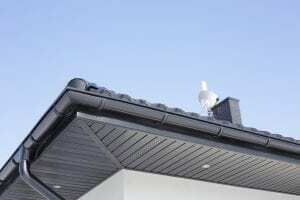 A lack of seams also means a greatly reduced chance of leaks because traditional sectional gutters tend to separate over time. When you’re ready for gutters and downspouts that will reliably protect your Dayton, OH, home from costly water damage, contact 31-W Insulation to schedule a free consultation to discuss your needs and budget.